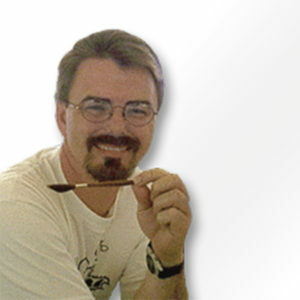 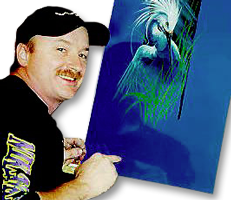 This is another development between Bobbo and Mack Brush Co. to bring to the pinstriper-artist a new brush to fulfill some of the difficult tasks of using a brush to it’s fullest. 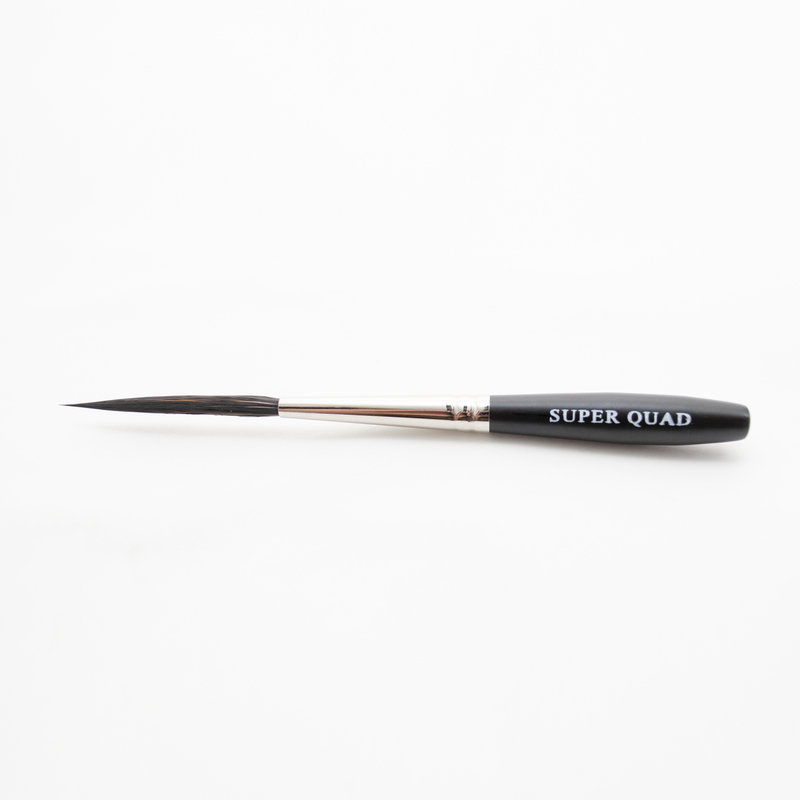 This brush because of it’s shorter bristles and fine blue squirrel & black synthetic hair makes scrolling easier and faster. 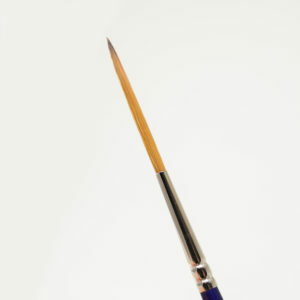 It also pinstripes short lines, 2-4 feet in length without having to change brushes. 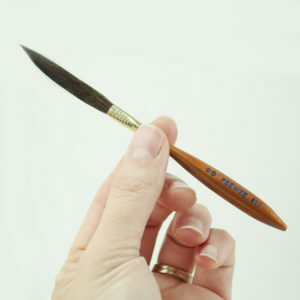 Plus it will let you letter your signature very small and also do small script lettering. 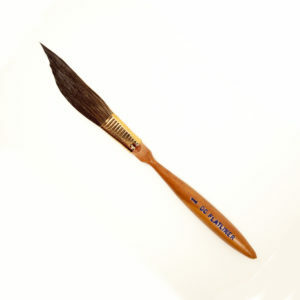 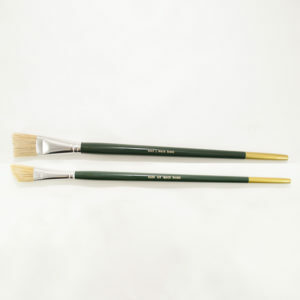 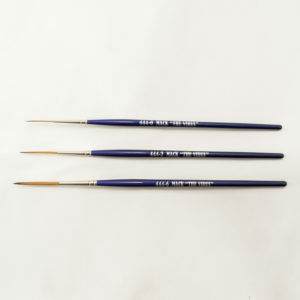 This brush has adequate snap and flexibility other brushes don’t have. 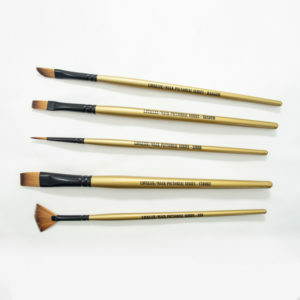 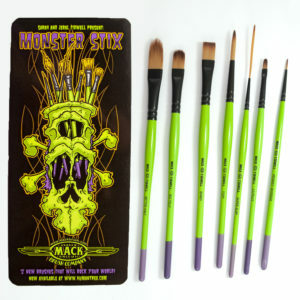 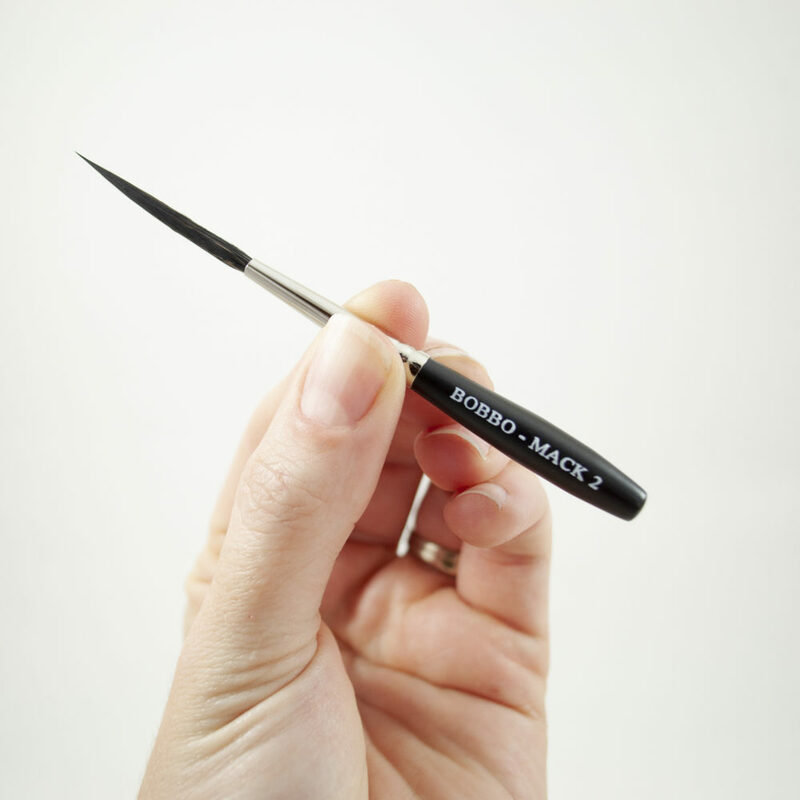 This allows the pinstriper/scroller to use one brush for four purposes without having to change brushes or color. 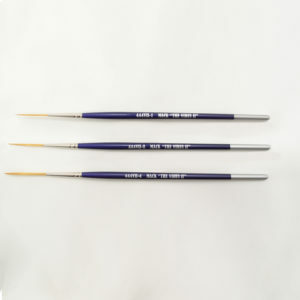 The drawing to the left shows the correct position to hold the brush, 65-85 degrees and only using one fourth inch to only one half inch of the tip. 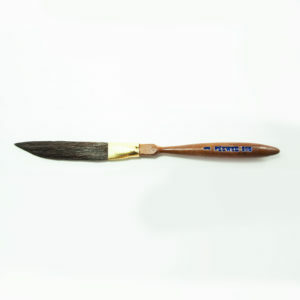 Any deeper into the hairs will widen the lines and disfigure your artwork. 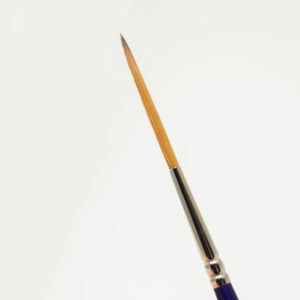 Heavy pressure and lifting the brush as you drag your line will give a long teardrop effect. 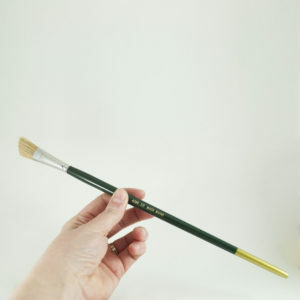 The drawing shows how to use the brush.